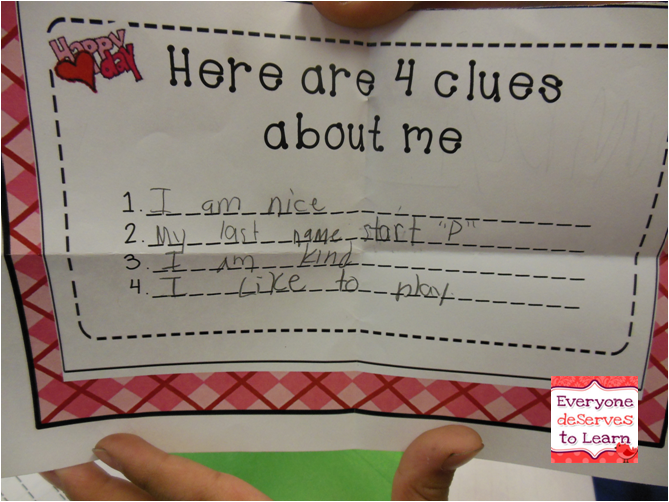 In my little newcomer classroom, we've worked our way through most of the 1st grade common core standards. We've even conquered some second grade standards! Considering I have a 1st, 3rd, 4th, and 7th grader in my class, you may think I'm quite far behind, but these are students who could not count to 10 when they walked in my door in September. I'd say we've done a fantabulous job! 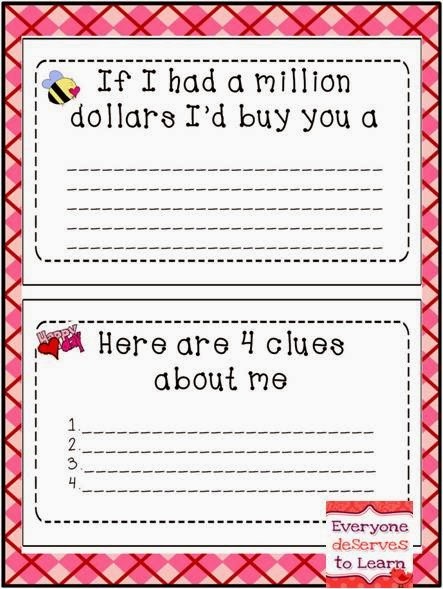 I'm saving shapes for the end of the year, but aside from that, the one itsy-bitsy teeny-weeny thing we haven't covered is word problems. 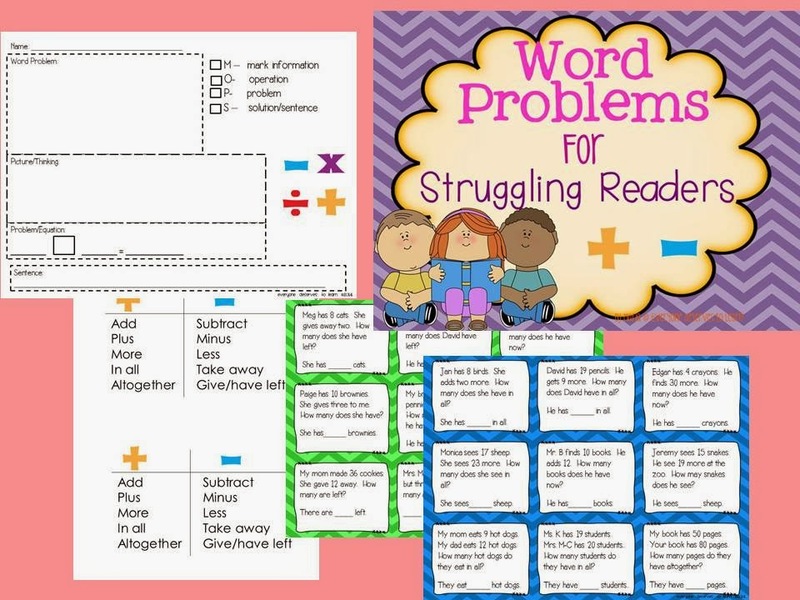 Word problems are a major hang-up for even my most proficient students; they get trapped by the syntax, the inferring, the vocabulary, even the names of the people in the problems! Knowing that, I decided to start nice and slow with my group. I have had these hanging on my math bulletin board all year, but I finally pulled them down to keep at our group table. We are working through all of the words on the signs, and adding them into our math notebooks. 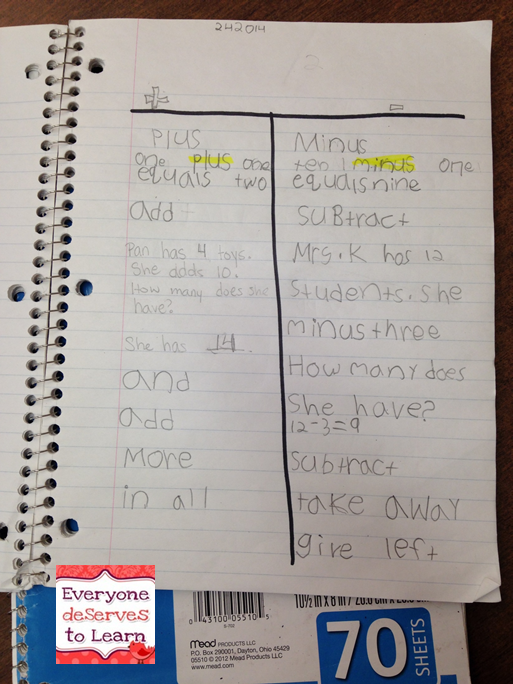 Here's an example of a student's notebook: I try to keep them nice and simple with t-charts and quadrants. We've tried foldables...my group just needs a little more proficiency before we try again. Look and see if you can find my on-purpose grammatical error in a practice problem. I did that just to put the word minus in a subtraction problem...it is rarely ever in a word problem but I didn't want to forget about it. I realized quickly that we needed more practice with the procedure of the word problems. I have some fast-trackers who will skip right to the numbers without looking at the words. I found a strategy called MAPS: Mark Information, Addition/Subtraction, Problem, Solution. 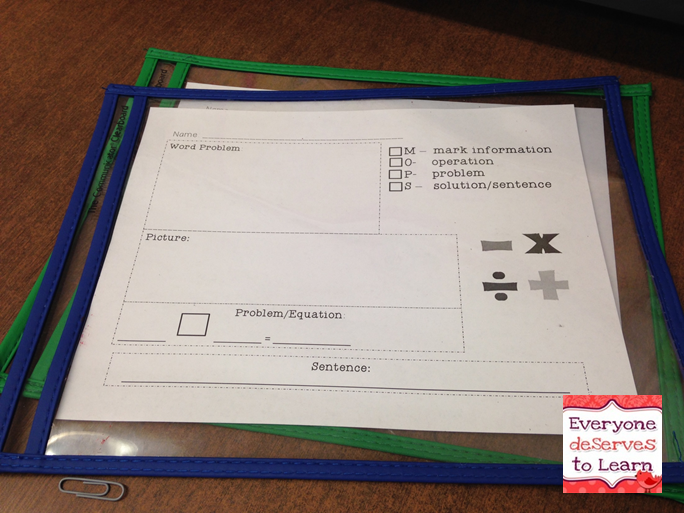 I thought it was a great idea, and but decided to modify it so I can use it when I teach multiplication and division. I called it MOPS: Mark, Operation, Problem, Solution/Sentence. Here's a picture of MOPS in the page protector. I wasn't able to grab one in action, but it was amazing to watch them slow down and really understand the words in the problem. They worked in partners to circle the information and corresponding operation, make tally marks for the picture, and then collaborate to come up with the equation and sentence. They were constantly referencing their notebooks for the words they needed. I made sure to write my problems using only sight words/words we know so there would be less confusion. 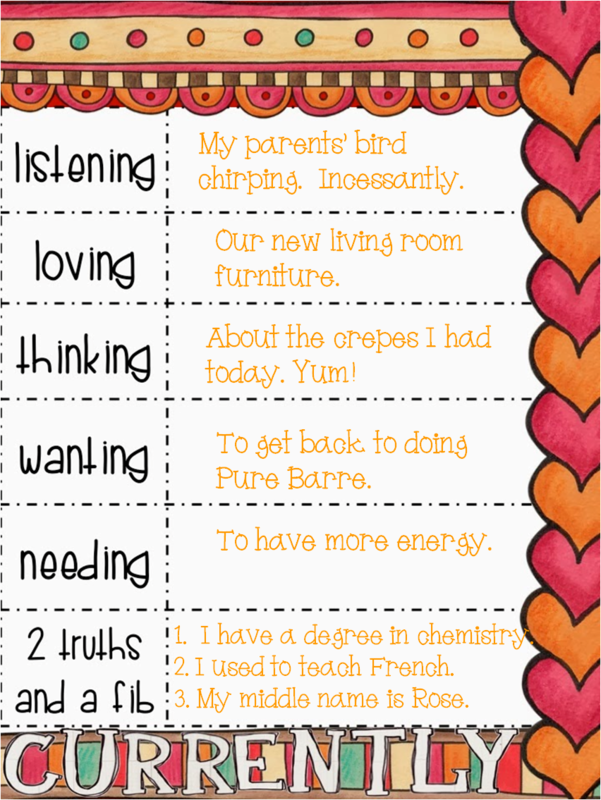 We are ready for some independent practice over the next few days, so I made a task card set for them to work through. 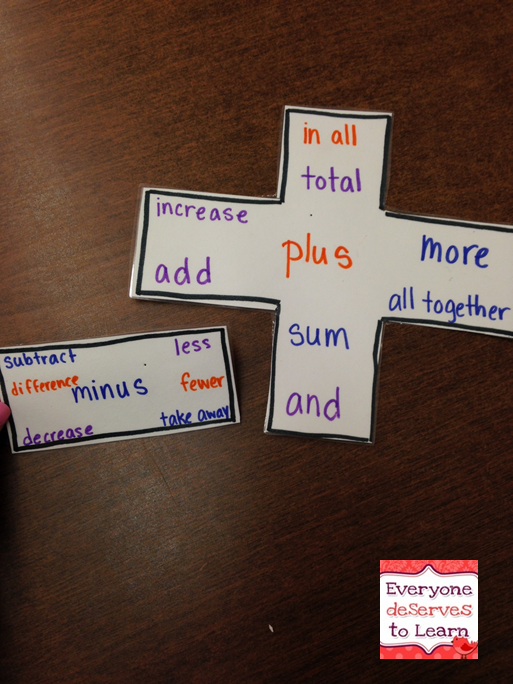 This set is just for addition and subtraction, and the word problems include only common and sight words, and some names they may see in school. I will keep adding to it as my students go through it, but I wanted to post it in case anyone else could use it! Click here to grab it from TPT. If you're interested in it, drop me a line! 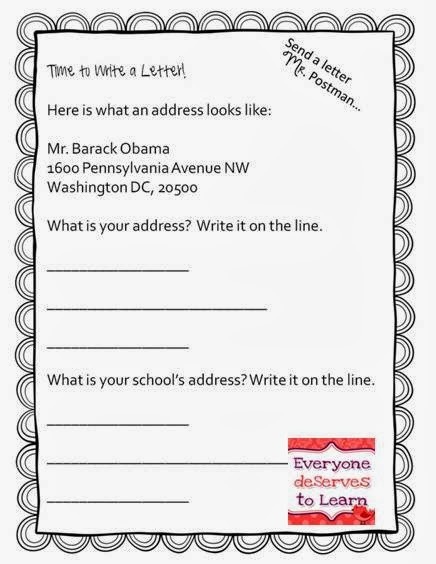 I'll send it to the first three people who let me know that they could use it with their class. And don't forget about the sale Thursday and Friday! My store will be 20% off. If you are an ESL teacher in the WIDA consortium, you are probably getting ready for the ACCESS test. ACCESS is a 4 part test that assesses ELL's on reading, writing, listening, and speaking. Last year, our students did really well on three of the four domains, but did kind of poorly on speaking. To be fair, the speaking test is utterly and completely boring, so I don't blame them! In the last couple of weeks, I've come up with this simple activity to boost their skills, which will hopefully be a muscle-memory reminder during the test. 1. 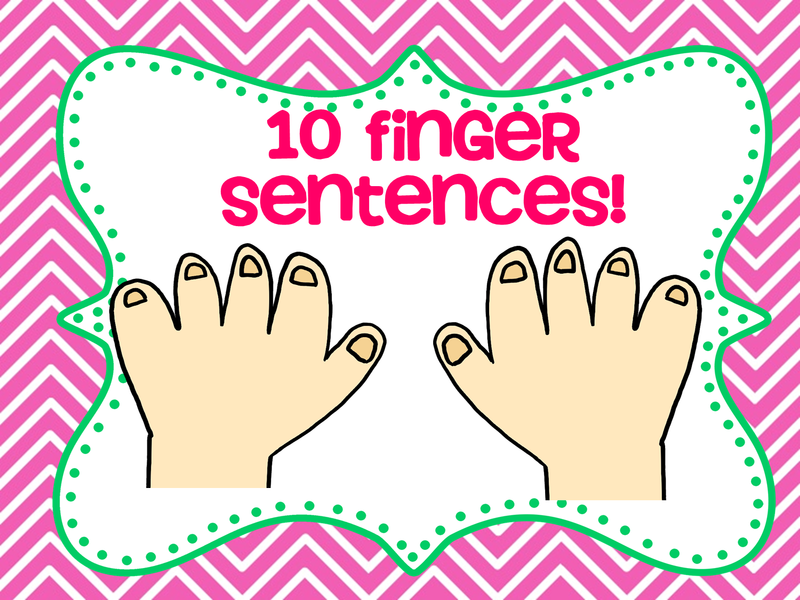 When we talk about our weekends, students have "10 fingers" to tell me their story. 2. 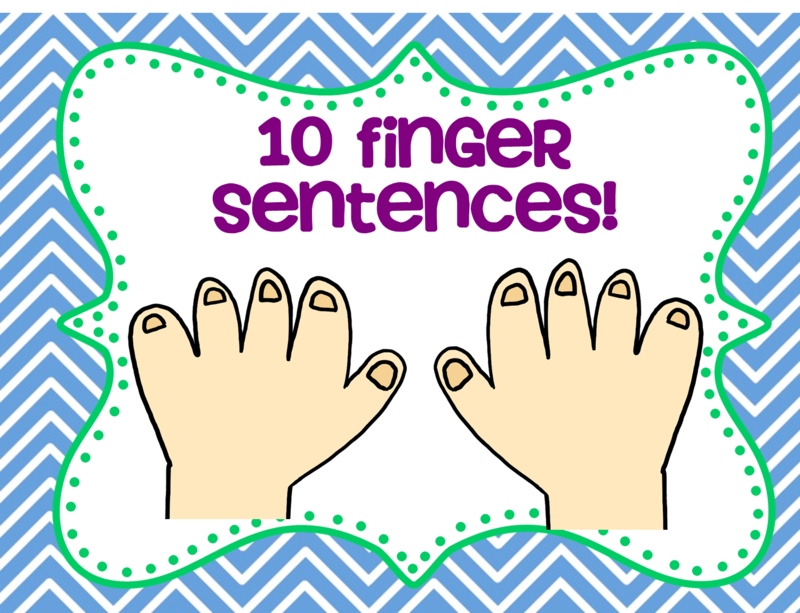 I will pass out picture flashcards, and each student has "10 fingers" to tell a sentence about the picture. 3. I have shown a picture prompt on the whiteboard/in a book and called on someone to give me "10 fingers" about what is happening. 1. Students are more cognizant of their speaking and do not ramble on. 2. It allows newcomers the chance to use vocabulary they have stored up in their minds. 3. It forces (gently, of course) newcomers to string words together and take those risks they might not take. 4. It shows more proficient students that there are several ways to say the same thing, using different words. I am sure you could do this with as many fingers as you need to! This could turn into a writing activity as well, I bet. I noticed that during the test, my students like to answer in one-word or two-word sentences, even though during class they are chatty chipmunks. I am hoping the muscle memory kicks in during the speaking test so we get some quality 10 finger (or more!!) sentences! What do you do to promote speaking at length in your classrooms? activities with my kids, but you'd better believe we'll be having a sweet treat or two! Since I'm missing out on the heart-shaped fun, I decided to do a little round-up of the sweet stuff I did last year with my own Valentines. 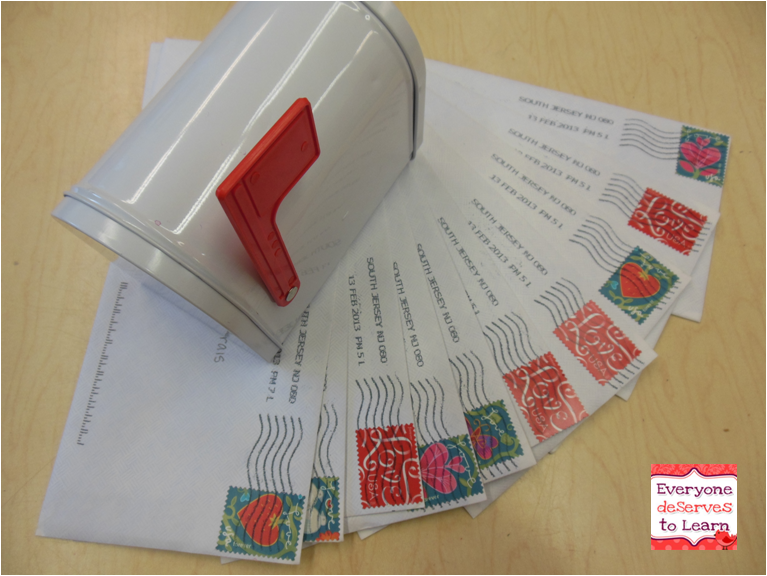 We learned how to write letters to our secret valentines, then put them in the mail. Some of mine had never received mail before...one boy kept his envelope in his folder until June. It was a huge hit! Click any picture to check out the original post. We learned about opposites using the song "A Bushel and A Peck" and made a cute re-mixed craftivity for our bulletin board. My favorite remix was "I love you an elephant and a penny." 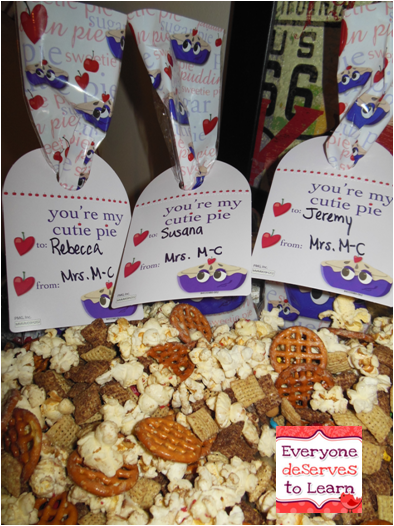 We ate Valentine's Day trail mix, which was super easy to make and transport and gets an A+ from me! While we ate our V-Day trail mix, we read my new favorite Valentine's Day book. 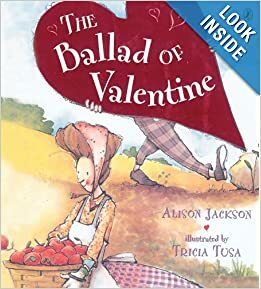 This one is a keeper- if you're studying figurative language, rhymes, parody, rhythm in poetry...or ahem...Valentine's Day, read it! 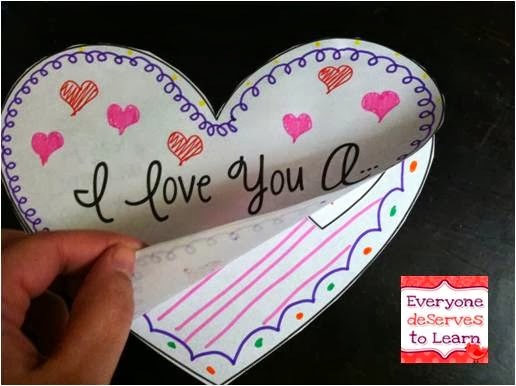 How do you celebrate Valentine's Day in your classroom? February is full of things to keep us busy! 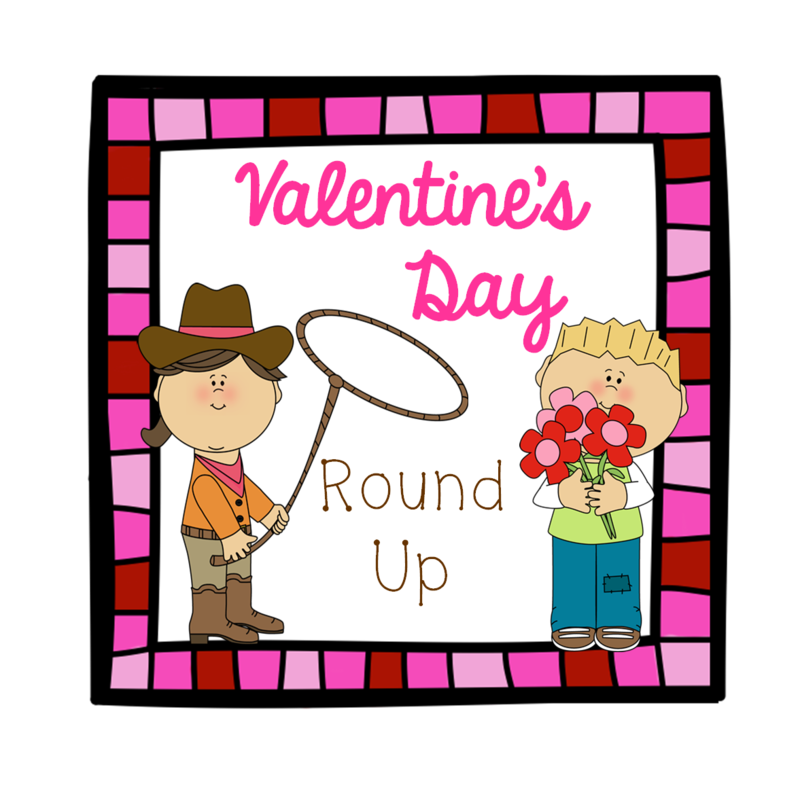 Groundhog Day, Olympics, Valentine's, and then right into Read Across America. I'm starting the February party off right by linking up with Farley! 1. My parents both recently retired from education and have decide to be snowbirds. Which means while they are off gallivanting in Florida, I get to pet-sit their real bird. Frisky is a very impatient cockatiel who hates the vacuum, toilet, doorbell, and any other noise you can think of. He retaliates by making shrieking noises of his own. We have a love/hate relationship. 2. I'm super happy with the way our living room turned out! We got furniture from American Furniture Design, Joss and Main, Home Goods, and Kirkland's. It's still a work in progress but at least people can sit down! 3. Today we had a married date to So Crepe in Philly. I had a brie, arugala, pine nut, and sun dried tomato crepe, and my husband had a ham, egg, and swiss cheese crepe. Technically savory crepes are galettes but who's counting? We shared a caramel apple crepe for dessert. It was ahhhmazing. I would go back there right now if I could! 4. When the school year started I had to stop going to PB, even though I loved it and it was working so well. I still just can't find the time in my schedule to get there. I guess I can try the DVD's at home but I'm not as motivated to do those. 5. Last Sunday I said to my husband, "Ok, it's 3 pm, time for my nap." He said, "Ok...and what is the activity tonight at the retirement home?" Lately (um, since October) I've been crashing around 3 or 4 pm. I don't know why- I've changed my breakfast and lunch habits and it's the same thing. 6. No WAY do I have a degree in chemistry. Please. The only assignment I passed in high school chem was the making ice cream assignment. I did teach French for two years, and my middle name is Rose, after my grandmother. What's your two truths and a fib? (P.S. I love the way Farley calls it a fib. Is that a Texas thing?) Anyway, go link up and share! !